They are SO easy to grow. Ours has been in the basement the entire winter: watered three times since probably October. 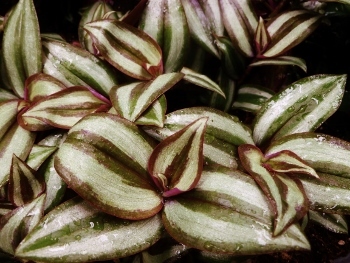 So if you’re looking for a houseplant that is extremely resistant to neglect, this is the plant for you. Double bonus: If you break off any piece of stem, it will grow a whole new plant. The green succulent plant with three thick leaves is Kalanchoe. 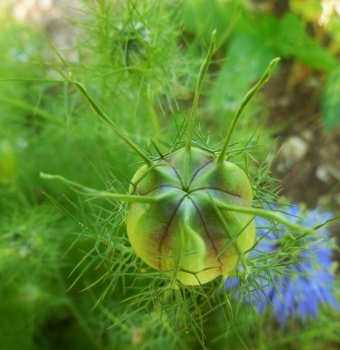 The name means “it falls and grows” (so, yes, it too can grow a whole new plant from any cutting). It is also called Flaming Katy. It has clusters of small pretty orange flowers that hummingbirds like. 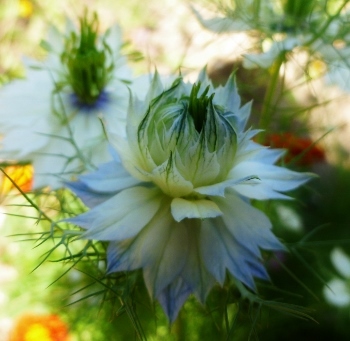 It is tolerant of extreme neglect, having also spent the winter in a dark, cold basement with very little water. Back to the terrarium/garden in a jar: a black, petrified shark’s tooth (from a beach in Florida) provides the finishing touch. 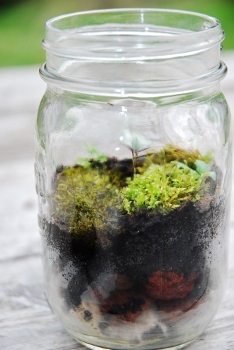 Gardens in a Jar-O need a tiny rock or some other accessory! 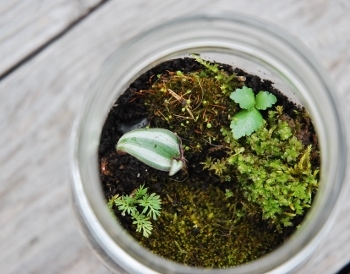 Why is this post called Garden in a Jar-O? It is a reference to Thin Lizzy. Thin Lizzy is the world’s most underrated (and arguably best!) band (ever!) and the official favorite band of Spy Garden. Phil Lynott is Spy Garden’s official favorite musician. Youtube links below for a few of our favorite Thin Lizzy songs, please enjoy! 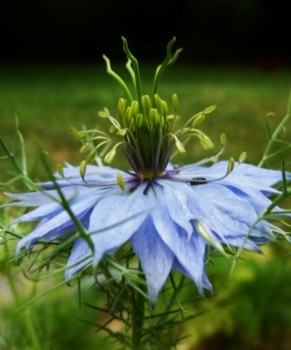 This entry was posted in DIY, Gardening, Kids, Missouri, Music, Photography, St. Louis on April 11, 2013 by Spy Garden. Yay!!! Thin Lizzy fans are pretty rare! 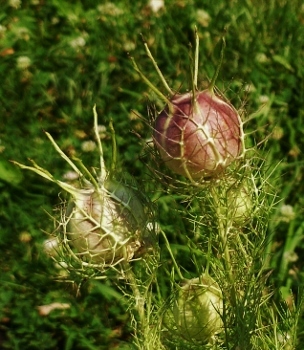 Garden in the Jar-O is one of my fav posts :) Thanks! Whiskey in the jar – my all time favorite sing along tune. It is a great sing along song. It is a very old Irish song. The Thin Lizzy version is great. Thanks for commenting!